During my 30+ years of service in the public sector, innovative budgeting was always an expected strategy. Small would be the group of professionals that would contend they have adequate funding to address the substantial list of public service demands. Likewise the majority of government officials would take great pride in explaining how they “made the system work in spite of itself”—regardless of dwindling resources. Budgeting is always a best-guess projection when delivering public service programs. Plant closings, epidemics, weather challenges and, more recently, security issues can destroy a sound budget in an instant. In order to offer a different perspective on innovative budgeting, let us assume it can’t always be about the money. One of the biggest challenges when taking a budgeting position where money cannot be the driver is to better define what we want. This may sound easy, but during my years as a workforce and community development director, these questions usually were defined with a soft list of objectives. This soft approach was typical given the instructions offered by the granting organization. Hence, the result would be to plug “regular” cost items into the budget and not take a chance on innovation. When one tries to explain innovative budgeting, the explanation usually requires an example. One of the most impactful examples I can offer are my experiences implementing three occupational principles training courses. The courses were business-driven: introduction to manufacturing, agri-business and service-sector employment. The curriculum for the courses was drawn up by businesses, for businesses. The credential received for participation was a locally developed certificate endorsed by the regional workforce development/community of commerce board. The courses were not designed to train someone in a separate skill area; rather they prepared participants for employment in the manufacturing, agri-business or service industry sectors. 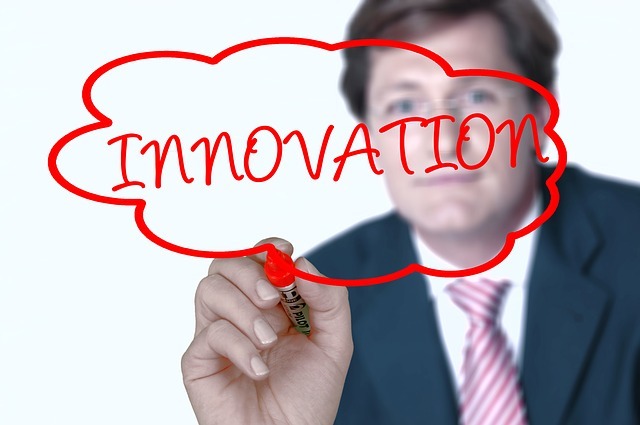 But what does any of this have to do with innovative budgeting? First, the principles courses were limited to no more than 20 students. As such, courses were transportable and required little classroom space. Second, the courses were taught by front-line company workers whose time was donated by partnering companies; no direct government funds were necessary. The unemployed or underemployed students were not offered any special financial supports to guarantee their attendance. Therefore, not only were the courses unique in their “factory-direct” style of instruction, but they were also innovative-budgeting appropriate. In lieu of the direct training support, contributions were offered by development-minded businesses. A second initiative that fits into the innovative budgeting category was what our agency called the Chapter Strategy Day. The annual National FFA Organization (FFA) Chapter Strategy Day was established to bring regional high school FFA members together to explore employment opportunities available in agri-business. Approximately 300 – 400 FFA members would hear a keynote address from a National FFA Officer and then participate in workshops dedicated to building the awareness of job options in the expanding agri-business arena. The innovative budgeting aspect of offering the FFA Chapter Strategy Day was its design as a “marketing” line item. At first glance, the Day appeared to represent a youth occupational training program. However, the agency goals were: to initiate an awareness of the diverse occupational opportunities in the agri-business field; to market the agency as the “go-to” group for career information for this industry; and to provide all attendees “take-homes” on the growth occurring in this unique sector. These actions ensured the agency’s marketing efforts reached far beyond the 300 – 400 youth in attendance. This nontraditional budgeting approach to marketing did not occur without appropriate review by state officials and internal agency fiscal staff. However, no one could deny the reach and impact of this event when comparing traditional radio/newspaper/television advertising costs. The long-term and network marketing benefits of conducting the FFA Chapter Strategy Day were extensive when measured within the agency’s four county service areas and the state/national-level recognition it received. Creating a multi-resource toolkit that could spread project costs across a number of funding options. Collaborating with one or more organizations/businesses to share project costs and increase the service capacity of the initiative. Restructuring the project to allow it to obtain fiscal support from a number of line item categories. Delegating the development and implementation of the project inside the organization to alleviate single category cost concerns and build project ownership throughout the agency. Innovation, whether in the area of budgeting or any other project , means you are taking a “harder road.” The challenges may be many but I believe the service rewards are worth the extra effort. Author: Marvin N. Pichla, Ph.D., is owner and creative advisor of Inspiring Innovations, Inc. Sharing his unique entrepreneurship and innovation in public service experience, Marv consults with public and private business, education and community organizations to develop new and different problem-solving methods through real-life example-based learning. Email: [email protected]. Pingback: TRIPLE III TIME: Innovative Budgeting – Always Standard Business | Inspiring Innovations, Inc.